Why be Buried in Israel? תשובת מרן הגר"ח קניבסקי שליט"א: "יקומו בתחיית המתים" (כוונת מרן שליט"א שהקבורים בארץ ישראל יקומו ראשונים, כמו שלמדנו בזוהר הקדוש פרשת חיי שרה דף קלא. ): "בֹּא רְאֵה, הֲרֵי נֶאֱמַר, כָּל אוֹתָם הַמֵּתִים שֶׁבְּאֶרֶץ יִשְׂרָאֵל יָקוּמוּ בָּרִאשׁוֹנָה, מִשּׁוּם שֶׁהַקָּדוֹשׁ בָּרוּךְ הוּא יִתְעוֹרֵר עֲלֵיהֶם וְיָקִים אוֹתָם. עֲלֵיהֶם כָּתוּב (ישעיה כ"ו י"ט): 'יִחְיוּ מֵתֶיךְ'. אֵלּוּ הֵם שֶׁבְּאֶרֶץ יִשְׂרָאֵל. "נְבֵלָתִי יְקוּמוּן" (שם) - אֵלּוּ הֵם שֶׁבְּתוֹךְ אֲרָצוֹת אֲחֵרוֹת, שֶׁלֹּא כְתוּבָה בָהֶם תְּחִיָּה, אֶלָּא קִימָה. שֶׁהֲרֵי רוּחַ הַחַיִּים לֹא תִשְׁרֶה אֶלָּא בְּאֶרֶץ יִשְׂרָאֵל הַקְּדוֹשָׁה, .וּמִשּׁוּם כָּךְ כָּתוּב בָּהֶם"יִחְיוּ מֵתֶיךְ", וְאוֹתָם שֶׁבַּחוּץ יִבְרָא הַגּוּף שֶׁלָּהֶם, וְיָקוּמוּ גוּף בְּלִי רוּחַ. אַחַר כָּךְ יִתְגַּלְגְּלוּ תַּחַת הֶעָפָר עַד שֶׁיַּגִּיעוּ לְאֶרֶץ יִשְׂרָאֵל, וְשָׁם יְקַבְּלוּ נְשָׁמָה, וְלֹא בִּרְשׁוּת אַחֶרֶת, כְּדֵי שֶׁיִּתְקַיְּמוּ בָּעוֹלָם כָּרָאוּי"
Question- People who live outside the Land of Israel is it worth it for them to buy a burial plot in Eretz Yisrael ? Maran Rav Chaim Kanievsky’s Shlita reply-They will arise for the Resurrection of the Dead( The Rabbi According to his close Talmid Hagaon Harav Passin Shlita means that the People buried in Eretz Yisrael will be resurrected first as the Zohar Hakodosh Parshat Chayei Sara Daf 131 writes- Come and see, as it is said All those who die in Eretz Yisrael will arise first because Hashem will awaken them and make them arise as the Passuk in Yeshaya 26:19 says “The Dead will be Resurrected “ - Those in Eretz Yisrael. Another Passuk in Yeshaya says the “The Carcusses will arise “ Those are they who are buried outside the Holy Land as it is not written resurrection by them but rather to arise as the Spirit of Life will only rest on those in the Holy Land of Israel and that is why it is written “The Dead will Live and those outside the Land of Israel will be created with their bodies and their body will arise without a spirit then they will roll under the earth until they reach the Holy Land and their they will receive their Soul in order that they will be properly resurrected. Question :So is it worth to buy a burial plot in Eretz Yisrael ? ( Hagaon Harav Kanievsky means that every person first has to be judged by Hashem for all his Mitzvos and aveiros. After a person has been punished for his Aveiros then burial in the land of Israel will help him attain his atonement. Question :Children who live outside Eretz Yisrael are asking if their father died and he did not tell them where to bury him, should we recommend them to buy a plot for their father in Eretz Yisrael ? A Segula for a Long Life is to Buy a Burial Plot in your Lifetime. Why Use Land of Israel Burials ? Our company will find you the best burial plots at your city of choice. Prices for burials in Israel have risen very highly over the last 10 years in some places at least five fold . We will help you find the best options of burial in the country. Some people do not mind where they are buried, so you can find some good remote cities for burial plots. Fill out the form below for more details and buy now before the prices continue to increase. In a case where one of your loved ones dies and you require an EMERGENCY burial plot , we will work very FAST and EFFICIENTLY to expedite the process including the transportation and the burial of your loved one in a respectful and helpful manner according to the highest standards of Halacha. NOW AVAILABLE PAYMENT PLANS FROM ABOUT $100 PER MONTH SPREAD OVER 1 TO 7 YEARS. Please email us for details. It certainly comes to no surprise that the vast majority of Jewish people in the world prefer an Israel burial. After all, the land of Israel is the land of the Jews, and is a place where most Jews feel the safest, even after death. More than 10,000 Jews have already made this journey throughout the past decade to have an Israel burial. Regardless of whether you are a secular Zionist or even somebody gearing up for resurrection during the Messiah’s arrival, chances are that you or your family will have to deal with the tedious and stressful process of getting buried in Israel from abroad. We at Land of Israel Burials have been established in order to provide those, who have to deal with the Jewish burial in Israel of a loved one, some peace of mind during this difficult time. We are here to help Jewish families from all over the world, who want the Holy Land of Israel to be their loved ones’ final resting spot. We Arrange and take care of everything for you – from A to Z! We’ll help you achieve burial in Israel from abroad! Decisions associated with a funeral in Israel and burial ceremonies are without a doubt some of the most complex that are made by the families or close ones of the dying or dead. Often times, a rapid decision is needed at the peak of a period of mourning. Even outside of the deep bureaucracies involved with transferring a body from one country to another, there are many issues that rise to life in Israel itself. Until the 1990s, less complexity arose in Israel concerning the various burial options. The vast majority of individuals were assisted by the various burial services provided by the different religious burial corporations. However, from 1996, after the approval of the Alternative Civil Burial Right Law, many things have changed. Today, many different options exist for a funeral in Israel, which may impose a large degree of stress on the family of the dead, who are often not in the state of mind to deal with such issues. This is where we come to help! Some may offer to give you advice, while other may promise to be responsible for only a fraction of the process, however not us. Our service guarantees full control of the entire process and we make sure that everything gets done, all the way down to the small details. Since we are based in Israel, we have the possibility to deal with all local issues and cemeteries in Israel, which makes it much easier for the families during the time of loss. plus any other town you desire.- Just enquire. Then, we take care of all the various complicated funeral arrangements, which ranges from transferring the body from the country abroad to Israel, the processing in the airports themselves (abroad and Israel), and the Jewish burial plots in Israel. Buying a burial plot in Israel is not an easy process to go through when the know-how’s are not present, which is why our services have proven to be so helpful. Not just that, but we’ll make sure that any concerns or questions that the close one’s have are properly directed and managed. 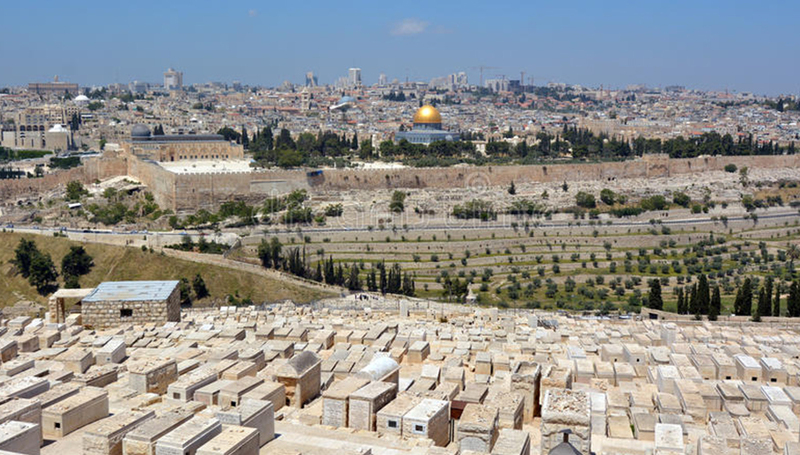 How Much Does it Cost for Burial Plots in Israel? This isn’t like any other business that exists out there. This is a very sensitive field that requires a lot of dedication and heart, which is why we do this as part of our service to the Jewish community. This explains our very affordable prices, as we don’t aim to make large profits, rather cover up the costs. We want to protect your individual interests by bringing the costs of the funerals within everybody’s reach. Prices start from approximately $6000 for a burial plot in Israel. As part of our professional approach, we are available for most hours of the day, and can communicate Fluently in English, French as well as Hebrew. In case of other foreign languages, we will do our best to communicate effortlessly. Get in touch and we’ll provide you the entire scope of options and elaborate on any specific details you may want to know. We are waiting to hear from you! © 2018. Land of Israel Burials. All Rights Reserved.